Besides the microorganisms that you can't see, there are worm bin creatures that are quite visible. These "munchers" and crunchers", as I like to call them, play a vital role in the bin's food web. These worm bin creatures start the breakdown process by chewing or tearing apart fresh feedstock such as vegetable greens, thus providing more surface area for the bacteria and fungi to begin their work. Not all of these creatures will be seen in your bin, but are listed here as ones you might see at different times. Inspecting your worm bin setup on a weekly, if not daily basis is the best way to identify problems by watching for these transient inhabitants and what they might be telling you about the bin environment. The most common beetles in compost are the rove beetle, ground beetle and feather-winged beetle. Feather-winged beetles (found in temperate to tropical regions) feed on fungal spores, while the larger rove and ground beetles prey on other insects, snails, slugs and other small animals. 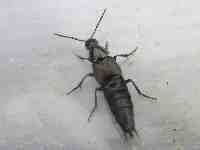 I have seen maybe one or two ground beetles in my beds in the last 10 years. I suspect that an enclosed bin prevents them from entering, but in an outdoor, covered windrow one would definitely see more of them. Photo by G. McIlveen, Jr. Adults resemble wasps. They do not have functional mouth parts so they do not eat. Though they may be a nuisance, soldier flies do not bite and are not known to transmit any diseases. Eggs are laid by the female near or in a food source. Soldier fly larvae are scavengers and thrive on many kinds of decaying organic matter, including carrion, manure, plant refuse and the waste products of beehives, molds and algae. 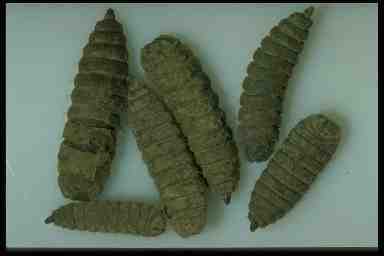 The larvae are voracious eaters, and if left unchecked, may out-compete the composting worms for food. I have seen these worm bin creatures in my beds occasionally and would toss them out, but never knew they were BSF. The interesting thing is that since the BSF larvae will devour anything, they are worth having around in their own biopod to digest what the composting worm can't (fats, dairy, meat, sugary items,etc.) and then feed the larval waste for the worms to work on! Centipedes are fast moving predators found mostly in the top few inches of the compost heap. They have formidable claws behind their head which possess poison glands that paralyze small red worms, insect larvae, newly hatched earthworms, and arthropods - mainly insects and spiders. Definitely not one of the worm bin creatures I want around! 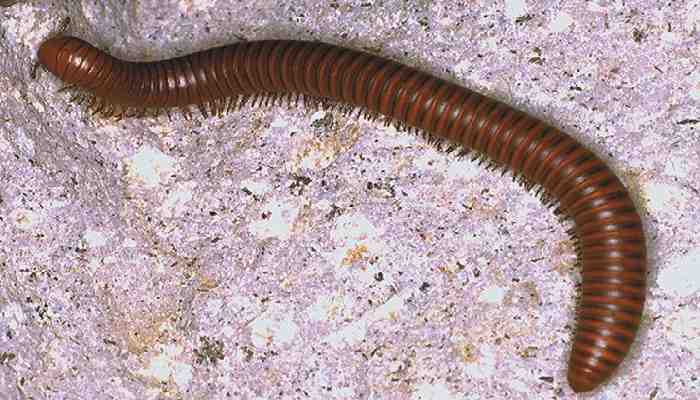 They are slower and more cylindrical than centipedes and have two pairs of appendages on each body segment. They feed mainly on decaying plant tissue but will eat insect carcasses and excrement. 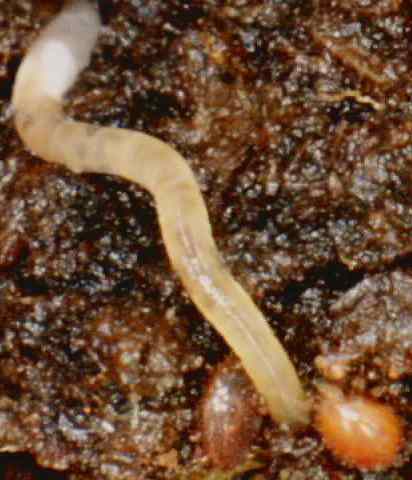 Mites are the second most common invertebrate worm bin creatures found in compost. Some can be seen with the naked eye and others are microscopic. 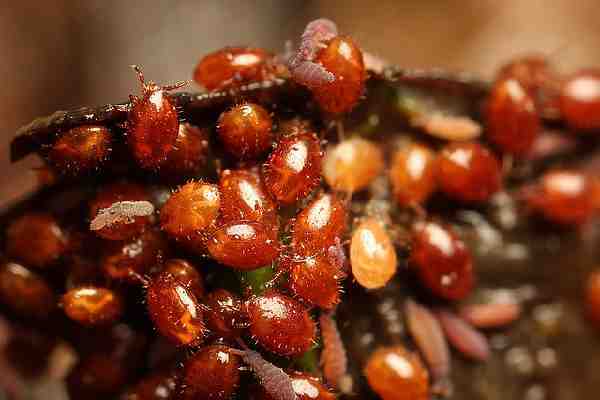 The picture shows a very common compost mite, the red mite. It is globular in appearance, with bristling hairs on its back and red-orange in color. Some mites have been seen getting a ride on the back of other faster moving invertebrates such as sowbugs, millipedes and beetles. Some scavenge on leaves, rotten wood, and other organic debris while other species eat fungi. There are predatory mites that feed on nematodes, eggs, insect larvae and other mites and springtails, but they rarely are seen in compost bins. These worm bin creatures belong to the crustacean family; however pill bugs are unusual dry-land crustaceans. Though they look very similarly to sow bugs, pill bugs can roll themselves up very tightly, whereas the sow bugs can not. They do not bite and they don’t sting. The creatures don’t transmit diseases to humans. They do not harm other plants or animals. They still require moist habitats because their delicate gill-like breathing organs must be kept moist. Pill bugs are found under logs, stones, and in damp basements and compost bins. A great many of them can always be found on the underside of my compost bin lid. They are known to play an important role in the decomposition of dead plant materials. Known as enchytraeids (en-kee-TRAY-ids) aka White Worms. They resemble small earthworms and live in highly organic environments. They won't harm your bin or the compost worms. They are actually composters too. If you encounter a lot of them it's an indication that the bin is slightly acidic. Springtails or Collembola are extremely numerous in compost as they prefer dark, damp areas. They are very small wingless arthropod, having a small spring-like structure (furcula) under the belly that catapults them into the air when the spring catch is triggered. Springtails chew on decomposing plants, pollen, grains, and fungi. They also eat nematodes and droppings of other arthropods and then meticulously clean themselves after feeding.